Sedges (Carex: Cyperaceae) exhibit remarkable agmatoploid chromosome series between and within species. This chromosomal diversity is due in large part to the structure of the holocentric chromosomes: fragments that would not be heritable in organisms with monocentric chromosomes have the potential to produce viable gametes in organisms with holocentric chromosomes. The rapid rate of chromosome evolution in the genus and high species diversification rate in the order (Cyperales Hutch., sensu Dahlgren) together suggest that chromosome evolution may play an important role in the evolution of species diversity in Carex. Yet the other genera of the Cyperaceae and their sister group, the Juncaceae, do not show the degree of chromosomal variation found in Carex, despite the fact that diffuse centromeres are a synapomorphy for the entire clade. Moreover, fission and fusion apparently account for the majority of chromosome number changes in Carex, with relatively little duplication of whole chromosomes, whereas polyploidy is relatively important in the other sedge genera. In this paper, we review the cytologic and taxonomic literature on chromosome evolution in Carex and identify unanswered questions and directions for future research. In the end, an integration of biosystematic, cytogenetic, and genomic studies across the Cyperaceae will be needed to address the question of what role chromosome evolution plays in species diversification within Carex and the Cyperaceae as a whole. The authors thank the organizers of the Cyperaceae: Cariceae symposium at the XVII International Botanical Congress (2005)—Bruce Ford, Matthias Hendrichs, and Julian Starr—for inviting us to participate, and Wayt Thomas, Julian Starr, and Tony Reznicek for handling the manuscripts for the proceedings. 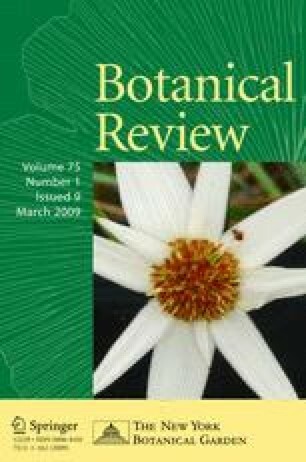 Rita Hassert, Nancy Faller, and Jaime Weber of The Morton Arboretum provided substantial help in obtaining references for this paper. Library access provided through associate positions in the Botany Departments of The Field Museum and The University of Wisconsin–Madison were extremely helpful. This paper has benefited from discussions with and feedback from Clement Hamilton, Takuji Hoshino, and Richard Whitkus, as well as comments on this paper from Tony Reznicek and two anonymous reviewers.